In “Mission of Mercy,” a number of crises strike all at once for the astronauts. First, the World War II airplane that Bill, Jeff and Judy have been utilizing to defend the humanoid pueblo city runs perilously low on aviation fuel, meaning another dangerous foray to Ape City for supplies. Meanwhile -- and even as General Urko searches “New Valley” for the humanoid populace -- Nova falls gravely ill from an illness in her lungs which is highly contagious. Unless a serum can be acquired, Nova will die, and the rest of the humanoids, including the astronauts, will follow.. This week’s episode of Return to the Planet of the Apes (1975) actually concerns a pretty good idea, and one which has re-surfaced in the pop-culture in The Walking Dead. Specifically, after the fall of human civilization, the survivors will fall prey to diseases and illnesses once conquered by modern medicine…but now once more grave threats. Talk about having to swallow a bitter pill! In this case, Nova nearly succumbs to a treatable disease, and Judy must make a dangerous trek to Ape City to get help from Zira and Cornelius. Despite the interesting concept, the execution of it leaves something to be desired. In particular, Judy -- an astronaut capable of flying spaceships and even World War II war planes -- doesn’t know about serums and how they work. No doubt, her ignorance is a result of the writers wanting to explain the topic to young audiences. But still, it's handled pretty poorly. Beyond this hard-to-swallow aspect of the episode, “Mission of Mercy” is mostly an action-oriented episode, with the astronauts struggling to beat the clock and once more save the day. Bill and Jeff must cross a rickety bridge in a truck, just as it collapses. 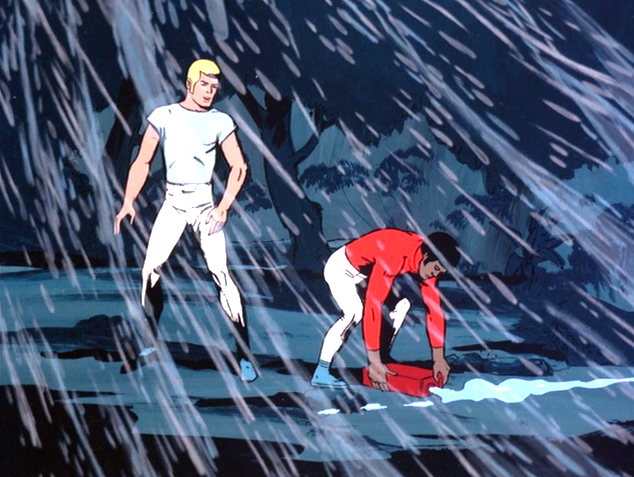 And then their truck breaks down…in a lightning storm. Suffice it to say that a lot of obstacles get thrown up against the astronauts as they struggle to hold onto the one advantage they have (the war plane), and keep Nova alive at the same time. 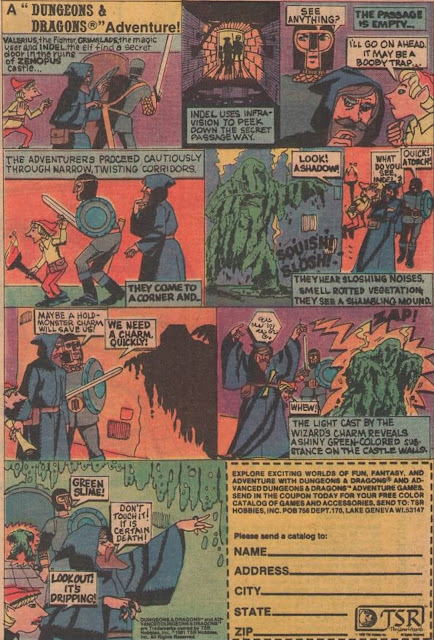 In some sense, the focus on action is true to the Apes film franchise, but the five movies alternated serious action with cerebral science fiction concepts (like infinite regression) and a sub-text about racism and religious zealotry. 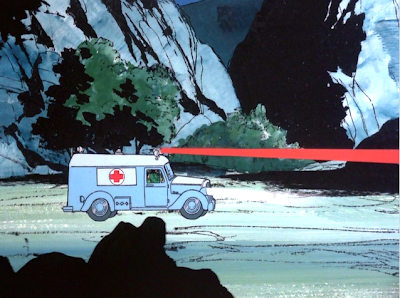 As a cartoon series aimed for kids, Return to the Planet of the Apes doesn’t quite rise to that level, but “Mission of Mercy” seems a bit more pedestrian, even, than other installments. 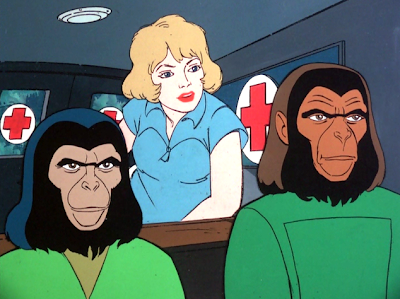 Also, it’s getting a little difficult to believe that Zira and Cornelius can go out into the wilderness outside of Ape City on yet another mission to help the humanoids, and not get caught either by Urko or Dr. Zaius. The pacifist chimps take big risks in every episode, and with no repercussions.